Mother’s Day is a chance to celebrate your mother and show her how much you appreciate her and all that she does for you. A personalized gift is a heartfelt way to say things that are not said every day but can be a lasting reminder of all the love you share. Let Memorable Gifts help you select a gift that will be treasured for many years. A beautiful red acrylic heart will be like giving a Valentine’s gift every day of the year when you present this lovely plaque to your mother. This handsome plaque, with its personal message from you, will be the best gift any mother can receive and one that she will treasure forever. For a new mom, their first Mother’s Day is a memorable event that should be celebrated in a special way. This adorable frame can hold a 5” x 7” photo of the mother and child along with personalized details of the new member of the family and the proud mom! This memory box is one that any mother will treasure. The personalized message that you can inscribe on the lid, alongside a small 4” x 2-3/4” photo, will make this a long lasting memory. In a deep chocolate brown, this wooden keepsake box will steal her heart away and be a place to keep all her important memories. 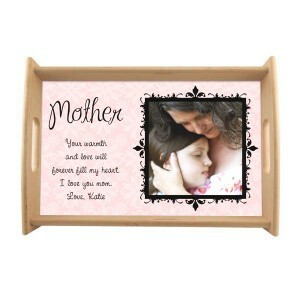 Any mother will be truly enchanted by this beautiful natural wood serving tray that can be personalized with a photo and personal heartfelt message. The photo is printed directly onto the tray making it a wonderful display that she will cherish. 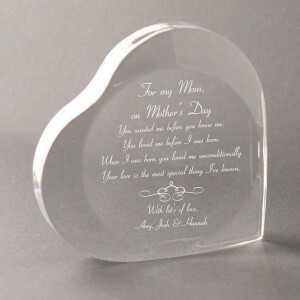 A beautiful poem makes this acrylic heart a special gift that your mother will love. You can add your own personal message making this wonderful Mother’s Day gift one that she will enjoy every day. 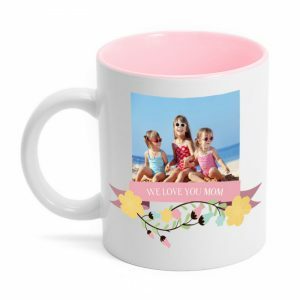 A personalized Mother’s Day message and a custom photo on a coffee mug will give your mother something she will see and use every day. The white ceramic mug with its pretty floral design and sunny yellow and spring accents will brighten everyone’s day. 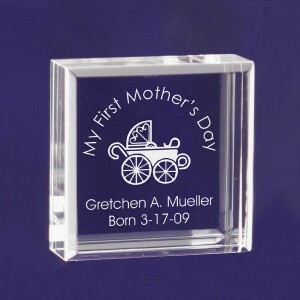 An acrylic block makes an outstanding remembrance for a new mother on her first Mother’s Day celebration. With a baby carriage accent and the child’s name and date of birth, this will be a remembrance that any mom will treasure. 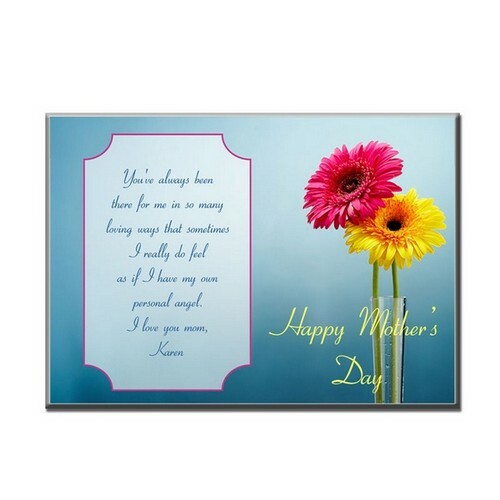 Bring your mother a spring bouquet of flowers with this attractive Mother’s Day plaque. It can be personalized with your own message, to make it a lasting memory that she will cherish long after the celebration is over! Accompany boring flowers with this beautiful jade glass tall vase for mom, flowers die but she can keep this vase forever. Show her that she really is the heart of the family with this statement vase. This vase is big enough to hold large bouquets and tall enough to hold single flowers. 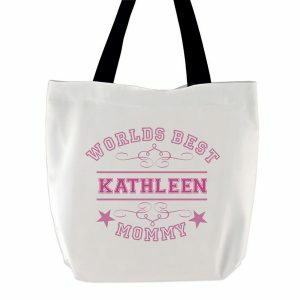 Any mother will love to have this Worlds Best Mom tote that will declare to everyone that she can do anything! With cheery star graphics, you can personalize this reusable tote with your mom’s name so she will always be able to claim it as her own! 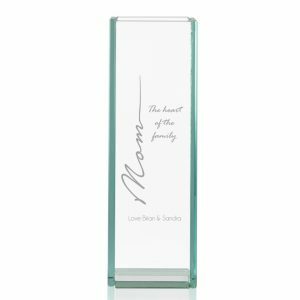 A personalized Mother’s Day gift is a wonderful memory for any mother and one that she will enjoy for many years after. It is the perfect way to say I Love You.